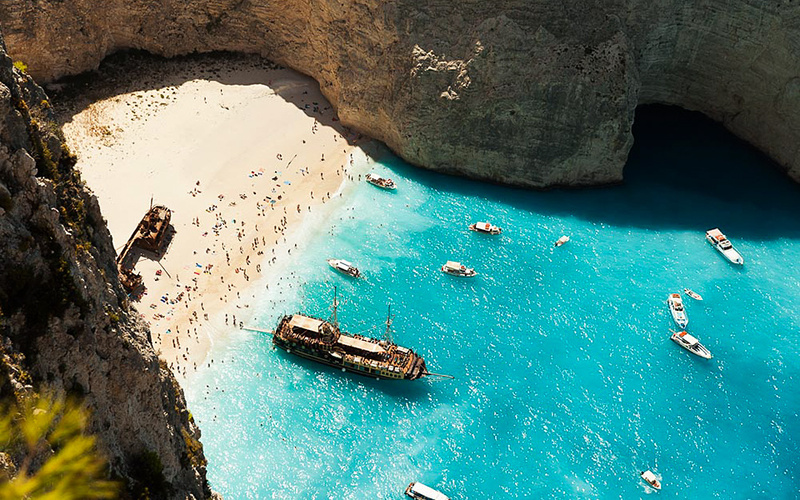 It may not be summer yet, but it's never too early to dream about being on one of these gorgeous and unique beaches. 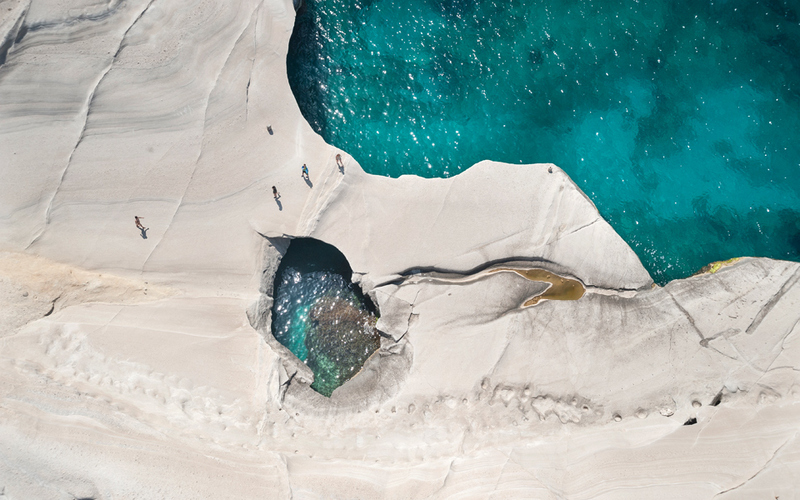 A short, 10-minute ferryboat ride from Laconia in the southeastern Peloponnese brings you to this tiny island where fine white sand gives the water its incredible cyan color. The area still seems untouched, even despite the throngs of families that visit every year thanks to the relative safety of the lagoon for kids. The area is also popular for its campsite, a stone's throw from the beach. 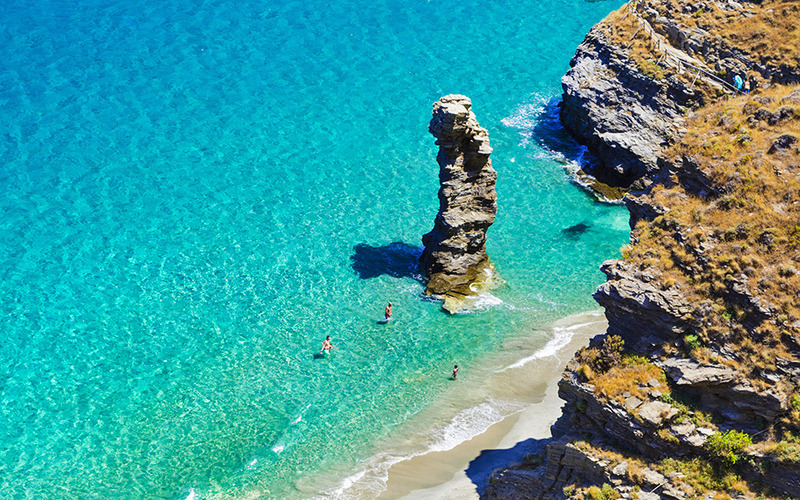 Andros is particularly popular among hikers thanks to its award-winning network of trails and crystalline waters for cooling off. Grias to Pidima features a massive rock rising out of the water and can be reached either by boat or via a path that is only a short 5-minute walk from the road. Its curious name means 'where the old woman jumped'. According to the most popular version of the story, an elderly woman betrayed the Greeks during the Turkish occupation by opening a gate to the castle where the Greeks had taken refuge. Ashamed of her actions, she jumped from the rock to her death. 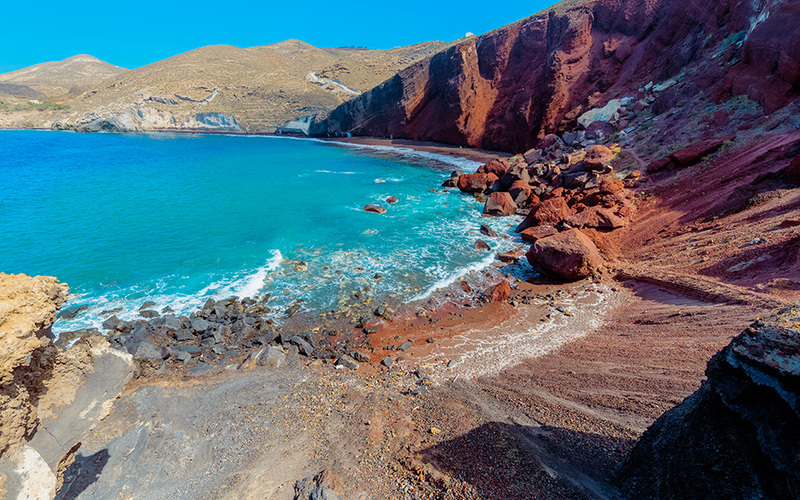 Grab a sun-bed on one of the most popular beaches in Santorini: sparkling blue waters framed by deep red and sheer cliffs of the sort one could only find on a volcanic island. It's just a 10-minute walk from the road. Alternatively it is also serviced by boats. 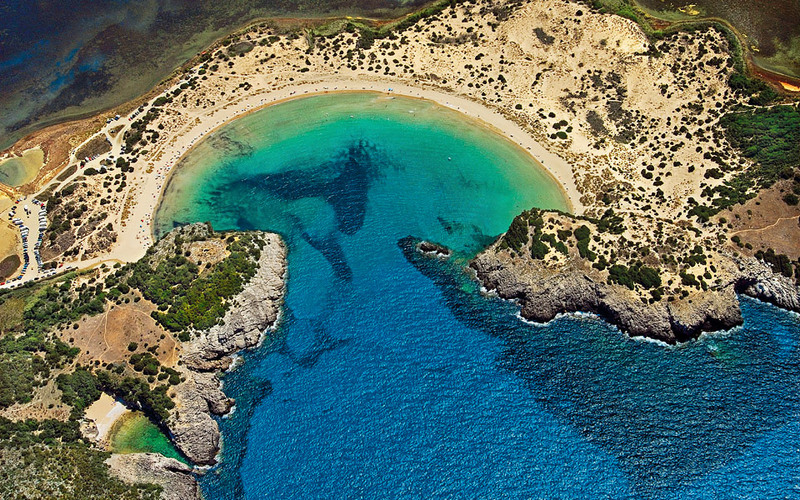 The famous bay of Voidokilia is easy to find on a map - from above it looks like the Greek letter "omega" (Ω). Located near Pylos close to the southwestern tip of the Peloponnese, mythology has it that the bay got its name ('vodi' means 'ox' and 'kilia' means 'cavity') when Hermes stole two oxen from his brother, Apollo, and hid them in a nearby cave. Feeling repentant, he later gave Apollo a lyre made from a turtle shell. At certain times of the year, one can still see turtles hatching in the sand along the beach which is protected under the Natura 2000 network. 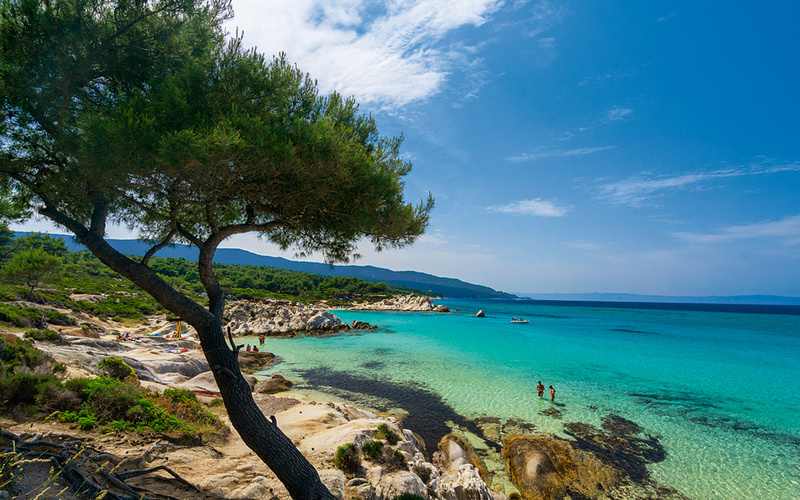 Its tricky to pick just one favorite beach from Sithonia, the middle leg of Halkidiki. 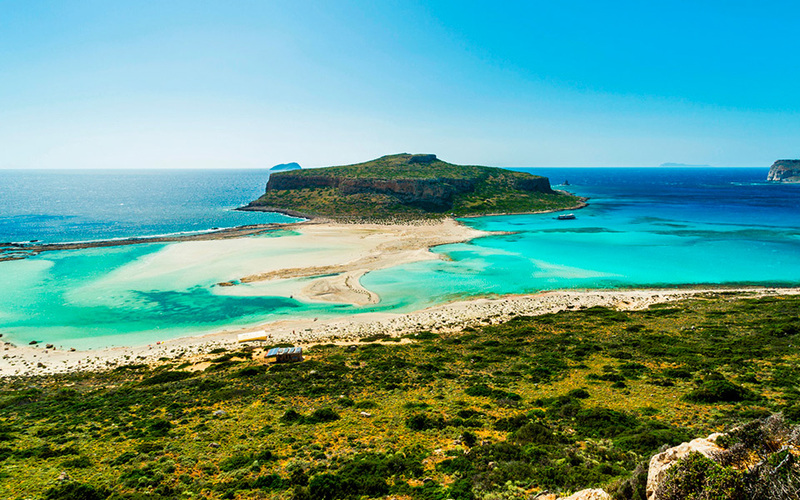 After all, this region in mainland Greece is famous for its shores. Kavourotripes, meaning 'crab holes,' is for those who prefer not to get into the car with sandy feet. Spread a towel onto the grayish-white rocks, in the shade of the pine trees. How can a beach look like a moonscape? 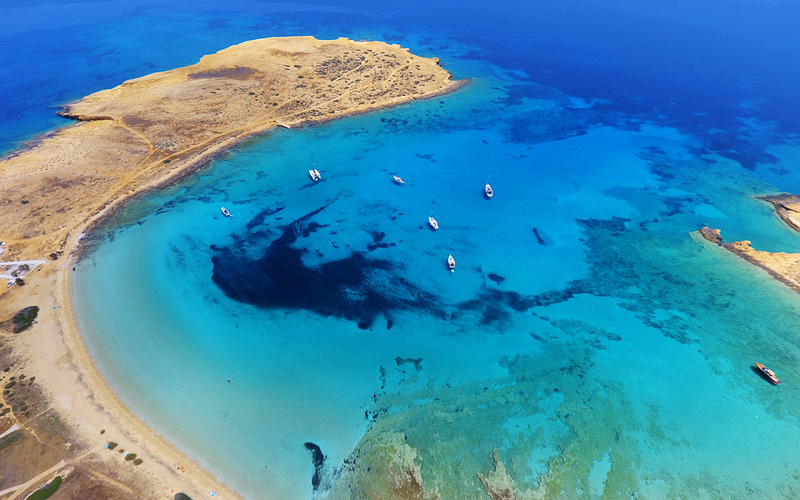 The white, volcanic rocks on this Cycladic island have created an otherworldly setting with caves and a fascinating seabed for snorkeling fans. But when there is a strong northerly wind blowing, choose one of the other 70 beaches on the island as the seas get rough. Sometimes, it's worth being on a ferry for 5 hours: namely when the destination is an island where cars are unnecessary (the longest walk is a mere 3.5km), the human geography is hippy chic, the sand is white and the waters crystal clear. Pori is always magical, even with the summer crowds. 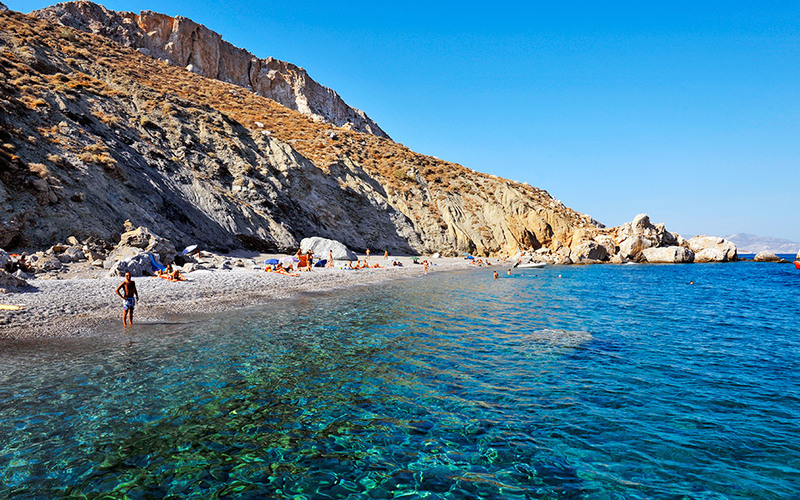 The small, Cycladic island famous for its stunning, medieval, white-washed Kastro district rates highly on any beach list. If you're fit, follow the trails to remote beaches like Katergo with its azure waters. 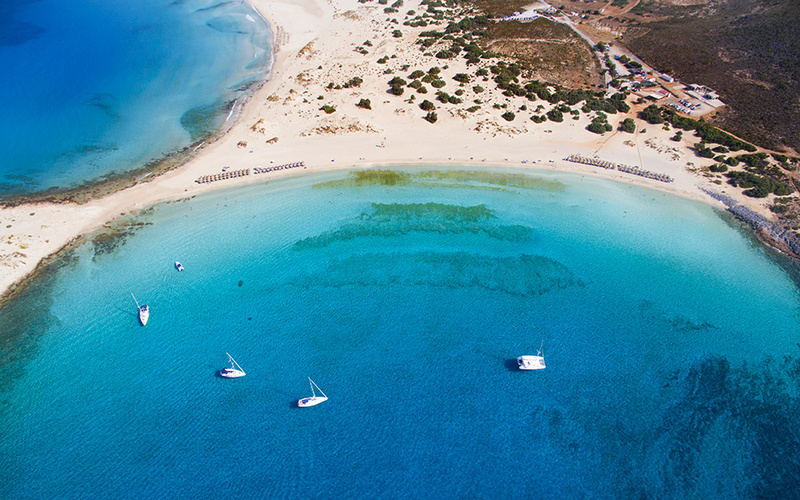 For a more leisurely and romantic approach, Katergo can also be reached by boat.